There is nothing like a summer wedding with splashes of bright colors. Color adds personality and fun to the party. 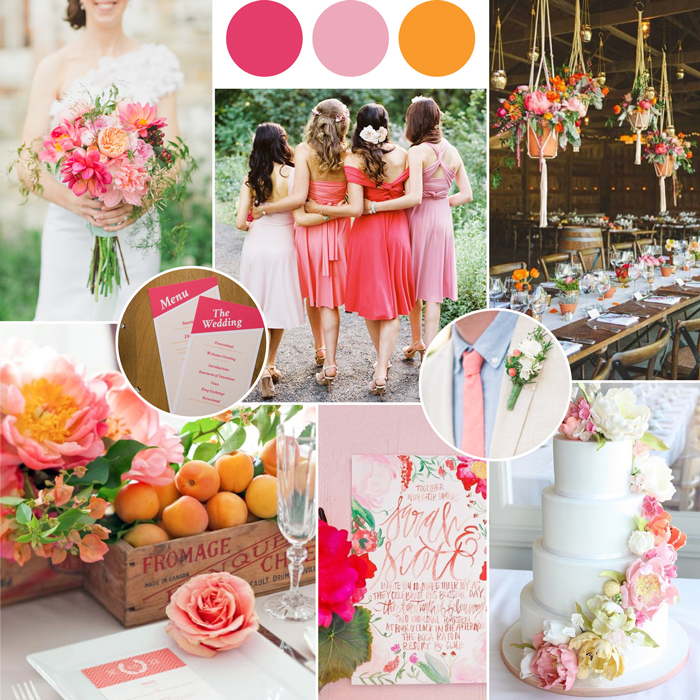 Here is an inspiration board in luscious pinks and oranges with some ideas of where to add that color. See also the full Pinterest board.